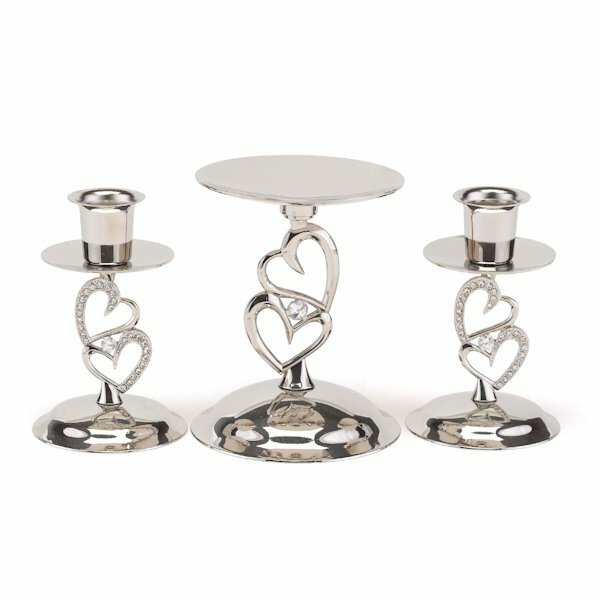 This stunning candle holder set features a stacked-heart design with sparkling rhinestone accents. 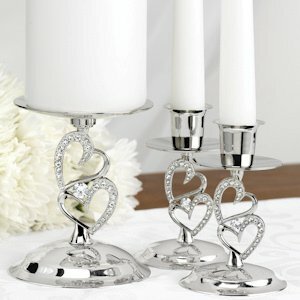 The center stand is 4-1/2" tall and holds a unity candle up to 3" in diameter. 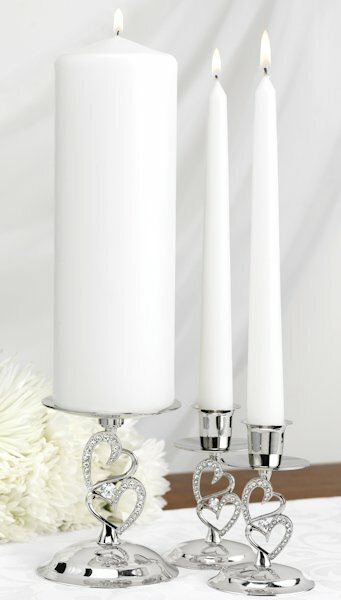 Each of the two candle stands for the taper candles measure 4" tall. 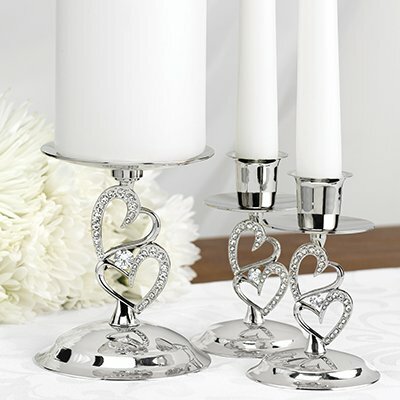 The nickel-plated pieces are sold as a set of three for a memorable presentation on your wedding day and beyond. Please note: candles are not included.